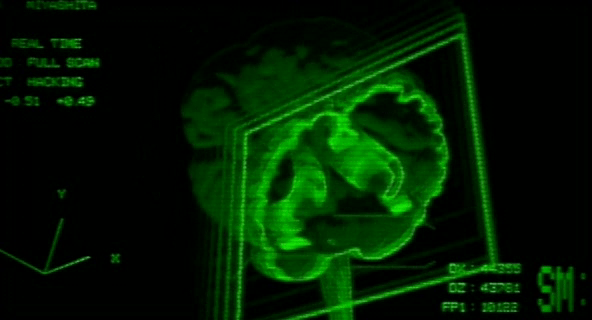 This entry was posted in Ghost in the Shell (1995) and tagged 3D, brain, green, medical monitoring, scan, scienciness. Bookmark the permalink. Wow, you get points for going through and copying all those bits of text down for the rest of us to read. Thanks. And keep up the good work. I am enjoying your work and look forward to more. 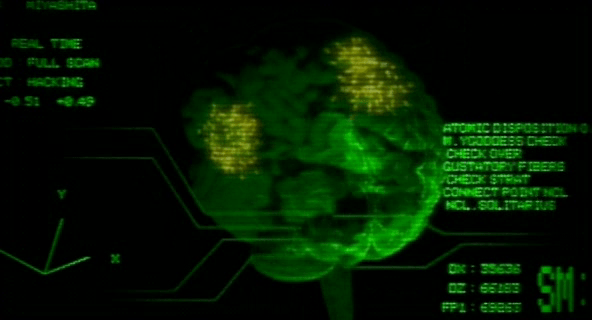 One thing I’d like to point out is that we see cyborgs with greatly enhanced data-processing speed in the opening of the movie, as I recall. So messages that are too fast for us, might be the perfect speed for someone with a coprocessor taking care of that for them.